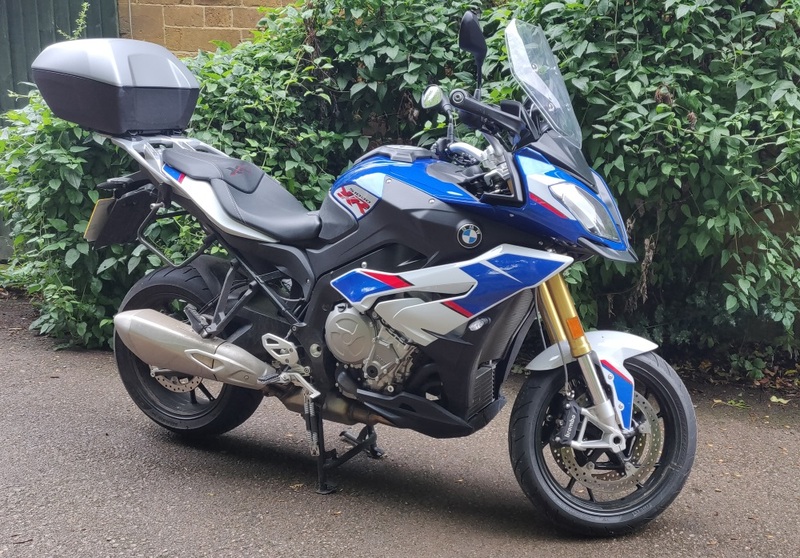 Another loan bike from NOG (thanks NOG) - a 2018 S1000XR with a top box. 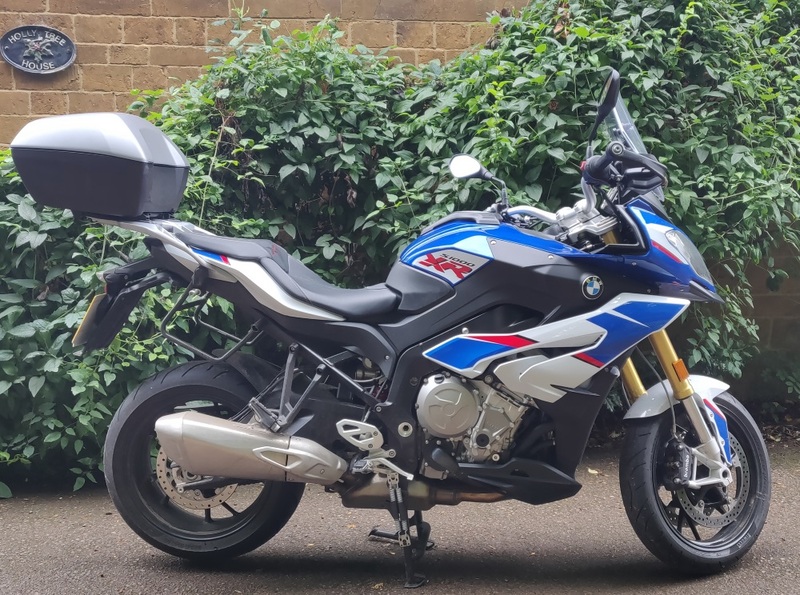 - sports bike engine with the touring equipment, but somehow still not a sports tourer. But still a fun bike to ride, and better than the initial version. - its definitely smoother than the one I tried in 2016. Much better. - excellent suspension, better than a K. It feels a bit soft when in 'road' (aka middling) mode, but then again its probably that the K is too hard. - still buzzy. We're talking around 4k RPM at 60mph. That's not the relaxed feel of a tourer. - seat is initially more comfortable than the K, but after an hour you realise you can't move around - its one position only. No back/forward movement is possible. - handlebars are riddled with buttons - 9 on the left, 3 on the right. Do I really need all those? Its going the way of car entertainment systems, methinks. Stuff I don't need, but have to buy. After all, I managed to get home by only using 2 of them. - quite slow to take off as though the fly-by-wire dampens the throttle effect at low speeds. I'm sure you get used to it, but it does feel like a 125 for the first few moves away from a standstill. Not ideal when the first exit from NOG is dual carriageway. Argh that colour scheme! What's that little triangle of disgusting blue bright thing doing too? Maidenhead suggested I try the xr, but I'm of the opinion that shush. Good review - recently bought one of these. I am amazed that the first thing you have to do with new bikes is buy a mudguard and hugger extender. The radiator and oil cooler are a work of art on these things and can't believe they are so open to stones etc. I also find you are stuck in one position and can't really move around - the one you tried already has the HP seat upgrade - I am getting one of those this weekend, but doesn't sound like it changes things much. As for touring, I just got back from 2,800 mile tour down to Austria and back on my K16. 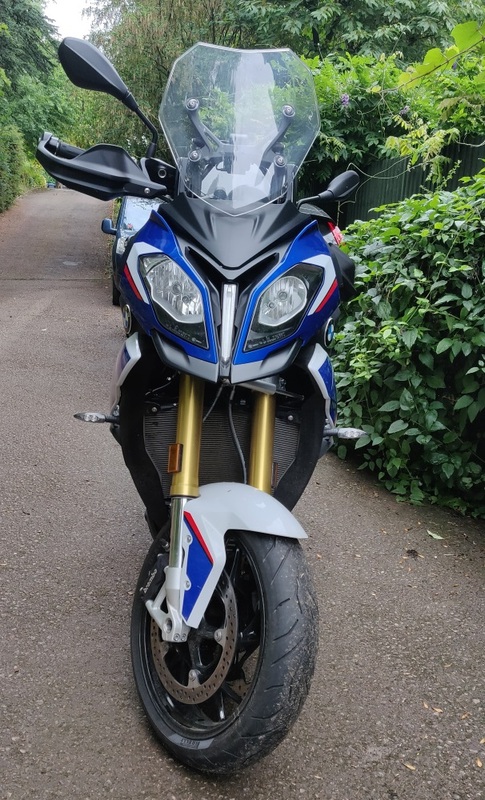 I didn't use the XR as I felt it to be a bit rev happy as well, but there were two of them with us and they had no problems with comfort, wind protection or vibrations etc. Quick bursts on the Autobahns up to 140mph and realistic touring speeds of 95mph and they seemed OK.
... and, if you have both, don't let the GS know about the XR! Have to agree - the XR seems so nice and civilised but becomes one angry bike when you really open it up. Bloody thing is so capable it just laughs at you and makes you do bad things. It really is a sports bike with a comfy riding position. My current "Tourer" - I think benefits from gold wheels and body coloured front mudguard & belly pan. She is a little buzzy and you do need good ear plugs but she sounds great and can run as fast as I need. My Sapphire Black K1300S is arriving on Friday - can't wait to try her out now.